This Cuvée originates from Grands Crus plots of the House and is made of 60% Chardonnay and 40% Pinot Noir". Wines were harvested in 2009 on soils on which the Sousa put their amazing skills in practice to bring out the sugary richness, the maturity of acids by raising the soil’s life in biodynamic. 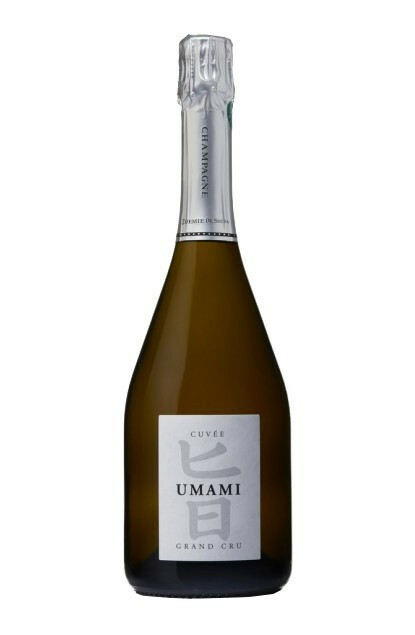 The Sousa named this wine Umami because in itself it is long, deep, velvety, mineral, tasty, which are great traits of character combined in a single Japanese word : UMAMI, that gathers the 4 base flavours : acidity, sourness, saltiness and sweetness. This extra-brut Grand Cru Champagne is superb with a gourmet nose on brioche and spicy notes while the finish in mouth is lightly salted and lingers. Colour : a bright gold. To be served between 8 to 10°C as an aperitif or with fishes or shellfishes like lobster or caviar on lobster.